"Fanaticism," said George Santayana, "consists in redoubling your effort when you have forgotten your original aim." Had he met Dr. Daniel De Simone and Alan Stenberg (below) and seen Glenmere, I'm sure Santayana would have meant that as a high compliment. For what is one to make of a dedication, commitment, and the expenditure of great gobs of money that results in a project that very probably has no end in sight? And that is Glenmere, an astonishment of beauty and high taste, an act of architectural bravado evident in every tile, panel, bookshelf, curtain, painting, and wall sconce, polished, while seeming always to need a tweaking here, an addition there. I have been to some glorious converted mansions around the world, but certainly none moreso than Glenmere, built in 1911 for industrialist Robert Goelet, one of the richest and famous men in the country back then, who lived here with his family until selling the 3,000 acre estate in the Hudson Valley in 1940. Goelet had already been selling off parcels of land for years, so that now the current acreage is down to a mere 150 acres that roll through forests and prim gardens down to glassy Glenmere Lake, all of it a setting for taking in sunrise and sunset from its vast windows. Curiously enough, Glenmere is a surprise as you wind your way up to its broad lawns. You expect it to fit more into some vague idea of Hudson Valley architecture with gables and steeples and timbered walls. Yet Carrère and Hastings, leading architects of the day who usually worked in the Beaux Arts style--they did the NY Public Library--here produced an Italian villa of a kind that would seem more likely to overlook a lake in Tuscany. Beatrix Jones Farrand, America’s first major female landscape architect, did the gardens, now impeccably restored. When the Goelets lived here they had 45 rooms; now, as a resort, the mansion has just 18 for guests. Since the 1940s the place had become rundown, so when Dr. De Simone retired with former public relations firm owner Stenberg to Tuxedo Park, they found at Glenmere a promising place to open a deluxe inn. Upon seeing the place and imagining what it must have cost--thus far--I asked the ebullient Mr. Stenberg if he'd ever seen the movie "Mr. Blandings Builds His Dream House," a comedy of errors about the restoration of a country house by Cary Grant and Myrna Loy in which every scene reveals new architectural and landscape deficiencies that cost many times their original estimates. 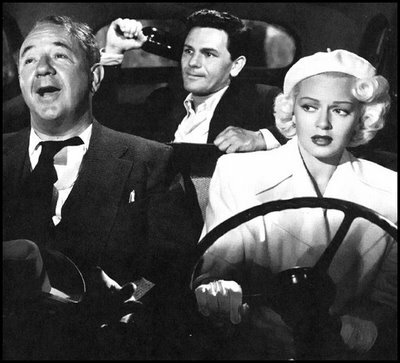 Stenberg said it was one of his favorite movies. 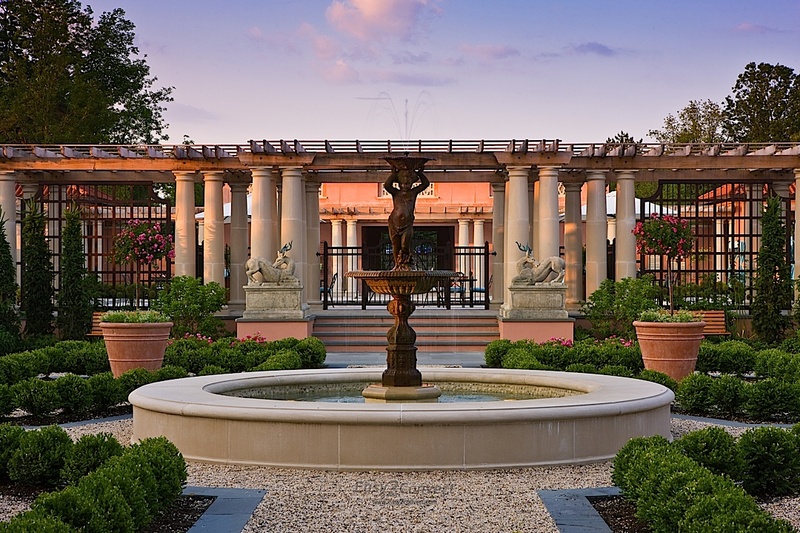 At one point, for months on end, one hundred artisans were working seven days a week to get Glenmere into livable shape, which included such unexpected oddities as drawing thermal heat from deep in the earth. One thing inevitably led to another, and another, and another, and when I joked to my wife, "Hey, let's buy the place!" Stenberg leaned in and said, "Every house is for sale." Yet for all their work, with the investment of a congenial German industrialist who told them turning a profit and inn would take, uh, some time, I cannot imagine the two innkeepers giving up what they have so decorously reveled in, from every art book set on every table, from the tiny deer antlers lining a hall to the spa, and to the spa itself, which is not just state of the art all its own, but set with individual rooms for any salon and spa treatment you could possibly think of, including a hammam wash and massage, soaking tub, vanity, steam shower, sauna, double shower, and gorgeously inventive fireplace. The fine art at Glenmere is very fine indeed, from the collection of Alison and Peter Klein. Each guest room has been individually decorated by interior designer Scott Snyder, all with an eye to peaceful surroundings to match the outdoors, along with every modern amenity and good old-fashioned ones like working fireplaces. (I'm sure the thread count of the bedsheets is in the zillions!) There is a private elevator that takes you up to the Penthouse suite of two bedrooms and two baths. 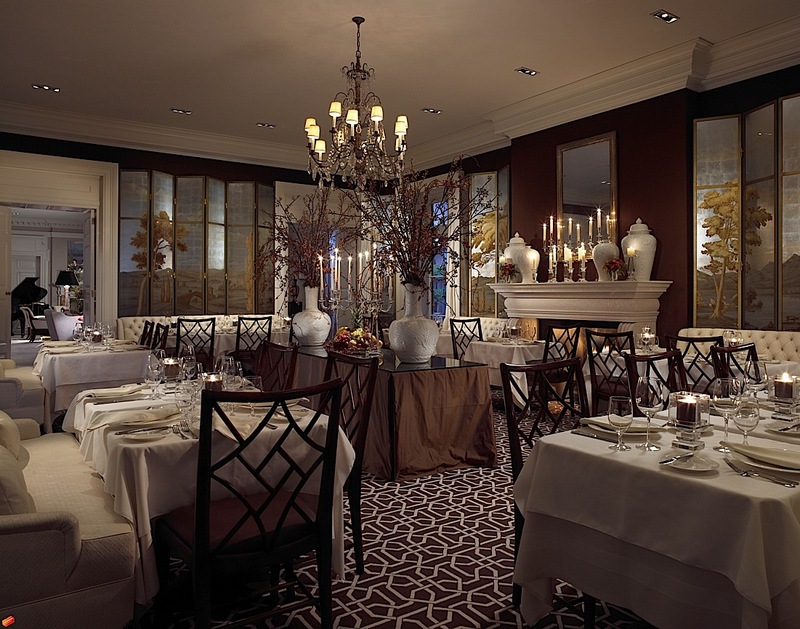 The Supper Room (right) is pure enchantment, the kind of dining room you'd imagine Jacqueline Bouvier Kennedy hosting a dinner, and attached are two equally lovely private dining rooms. Frogs End is a tavern available for lunch and evening meals, but its real draw is the onyx bar, reproduced from a favorite the owners had seen in Europe. We had a fine spring evening's meal at The Supper Room, which is open to the public, that included Chef Seadon Souse's Hudson Valley foie gras with caramel apple, mâche, and lemon vinaigrette; agnolotti of pumpkin with crispy pancetta, Swiss chard, and sage brown butter; and an espresso-rubbed short rib of beef with sunchoke puree, wild mushrooms, and braising greens. At $75 fixed price, it's quite a bargain. Even moreso, the winelist, by sommelier Michael Cimino, has depth and breadth across a global spectrum, and the prices are amazingly reasonable--a decision he and the owners made to encourage people to enjoy good wines without sticker shock. 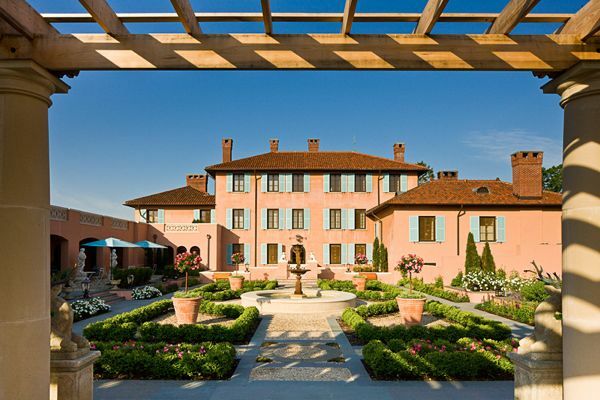 How does Glenmere compare with its sister properties in the Relais & Château membership--places like Château Les Crayères in Reims, Le Manoir aux Quat'Saisons in Milton, England, Il Pellicano in Porto Ercole, Italy, Blackberry Farm in Walland, Tennessee, and Auberge du Soleil in Napa Valley? Let's just say that the owners of all these illustrious properties could learn a thing or two from Glenmere. As might be expected in a place so uniquely situated, weekends are almost always booked, with a two-night minimum. Otherwise, rates run from $650-$3,500 for the penthouse, including breakfast. By the way, depending on the season, you may rent the whole shebang for $25,000 to $50,000, with use of all facilities. Call a dozen of your closest friends and have a bash. 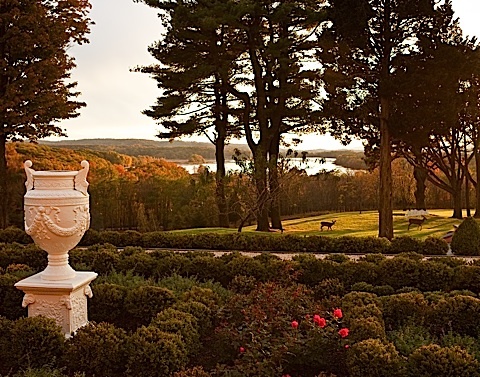 Glenmere is located at 634 Pine Hill Road in Chester, NY; 845-469-1900; www.glenmeremansion.com. The Village of Irvington, named after the area's most beloved writer, Washington Irving, who lived nearby at Sunnyside, has a quaint river town charm, history--it once had its own opera house and was home of America's first female millionaire, Vera Lewaro--and fine, varied architecture. 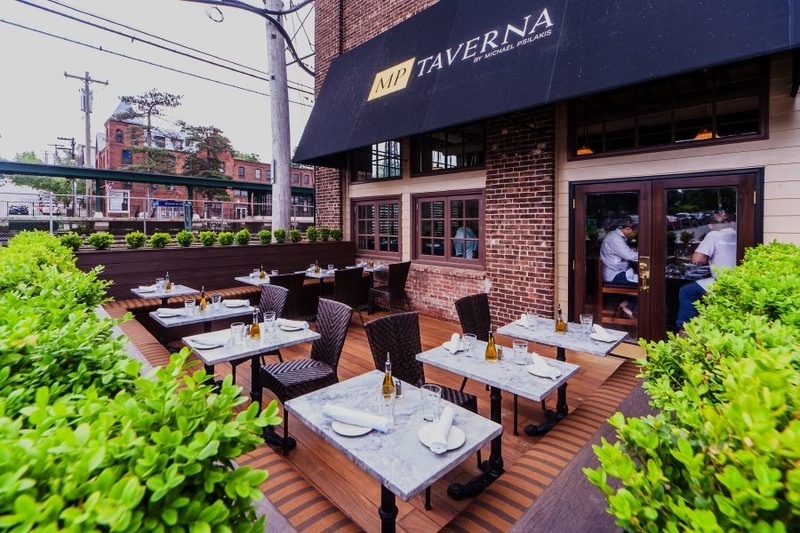 Sleepy is the word often applied to these Hudson Valley villages, and Irvington is a quiet spot, now enlivened by MP Taverna, which occupies a site that has seen a few restaurants come and go in recent years. MP stands for Michael Psilakis (left), the brilliant Greek-American chef who burst upon the scene in 2007 with Anthos, a thoroughly modern take on Greek cuisine, done with dash and high creativity--my pick in Esquire as best new restaurant of the year. His well-regarded cookbook, How to Roast a Lamb, was published in 2009. Some missteps, celebrity hype and partnership break-ups drove Psilakis out of Anthos back into more traditional forms of Greek food with Kefi and FISHTAG on the Upper West Side, and another unit of MP Taverna, in Roslyn, Long Island, and another on the way in Astoria, Queens. The Irvington restaurant, with 120 seats and patio, is set in an 18th century building that has seen a few restaurants come and go over the years. 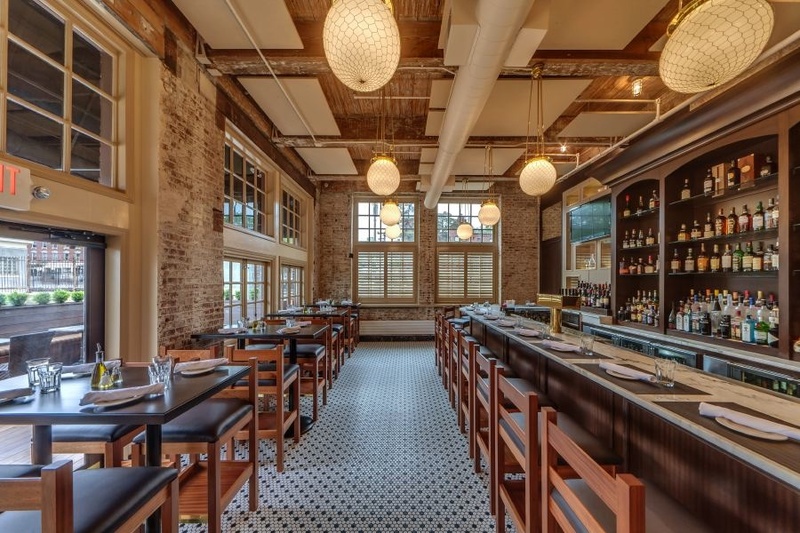 There's a lot of mahogany wood, pine floors, brass chandeliers, shelves of glass vases, distressed brick, roomy brown leather booths, black and white floor tiles in the lounge (right), with a marble-topped bar, and four larger tables that seat 16. Would that this charming decor had tablecloths rather than dark brown tabletops. The 20-seat outdoor deck is outfitted with white marble table tops and dark brown wicker seating. Westchester County is far from rich in Greek restaurants, so MP would be welcome anywhere, but, Psilakis told me, "I want Greek food to move into the American mainstream, like Italian food. So I've made the menu to have a lot of Greek classics but I've updated them and serve them alongside classic American sandwiches, salads, and burgers." It's a formula that really works, and, open just ten days now, it was already packed on a Thursday evening. The heart of Middle Eastern food is in the mezes, and Psilakis offers a baker's dozen, plus a selection of dips with pita bread. 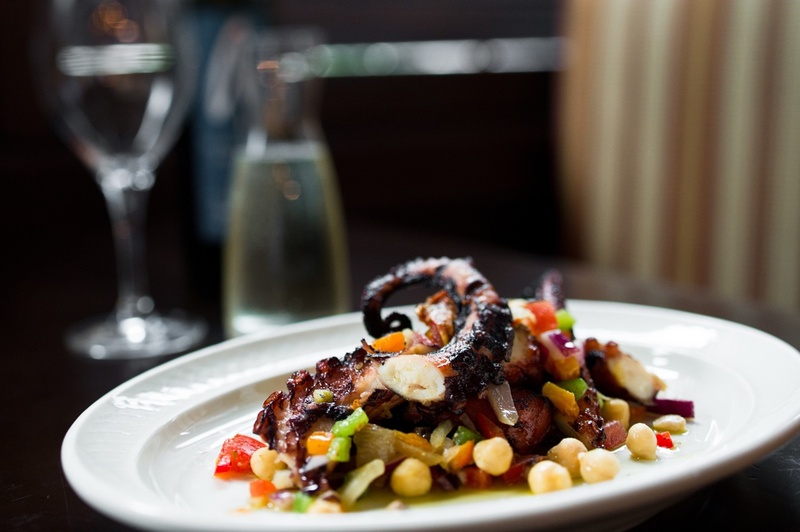 The barrel-aged feta with olive oil and a sprinkling of oregano had the right tang and texture, while the octopus (below) was not just among the most tender I've had anywhere but also the most flavorful. The biggest hit of the evening were a plate of hefty gyro sliders, whose juicy shreds of meat were well seasoned with pepperoncini and onion and set on a little bun that itself was delicious. Also impressive was a generous platter of spiced pork ribs with smashed potatoes; not particularly smoky, the meat was an ideal balance of fat and lean and came off the bone full of succulence. The dips--savory eggplant with roasted peppers and garlic, chickpeas with sun-dried tomato and herbs, and housemade yogurt with cucumber and dill--available separately or all three for $12. The night's only disappointments were the mushy texture of some otherwise good meatballs and the barely warm, somewhat chewy pita bread. Every entree was a standout. Where to begin? Greek paella had an abundance of shellfish, each impeccably cooked, and lamb sausage in a heady broth. 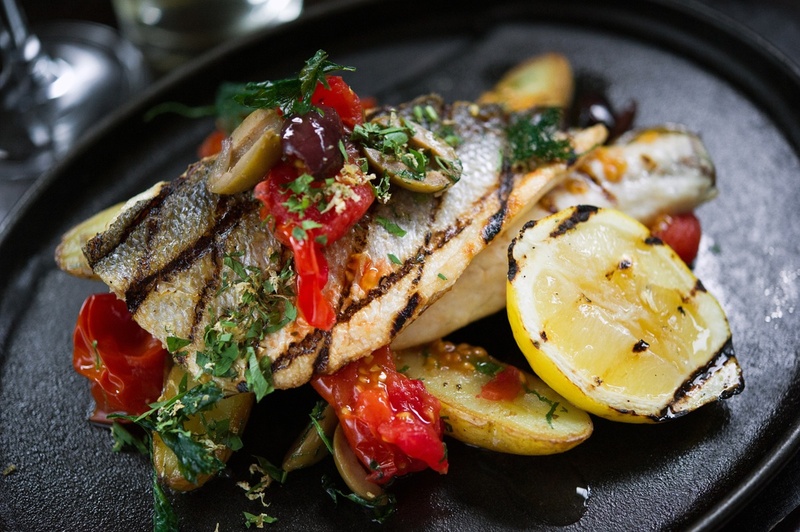 A grilled branzino (below) could not possibly have been better cooked, a large piece of beautiful fish whose crispy skin was entirely edible, atop firm flesh oozing juiciness. If you like Italian gnocchi, you'll love the fat dumplings here with lamb sausage, sun-dried tomato, pine nuts, spinach, tomato and feta. Lamb shank was textbook perfect, with orzo pasta around it in the juices of the meat. Finally, I'm ready to pronounce Psilakis' roasted lemon chicken in a rich, velvety garlic and dill the most delicious chicken dish I can remember in years--a masterpiece of good ingredients cooked with imagination and finesse. Did I mention it's just $15 on the menu? All desserts toed the same careful line as what preceded them, from a lovely spiced walnut and parsnip cake with cream cheese frosting and maple walnut ice cream to a chocolate halvah brownie with tahini creme anglaise and sesame ice cream. The apple baklava-like napoleon had a fine texture of shredded phyllo pastry over metxa ice cream and amaretto crunch ice cream. There are more than 50 bottles of wine available in three- and six-ounce pours, as well as a good selection of international beers. Oddly enough, though, there is only one white and one red Greek wine on the list, a startling omission (especially since they were out of the listed red that night, and the vintages were already out of date). A place like this should be championing the great strides made in Greek wine in the past decade. I worry that Psilakis may soon overextend himself with too many restaurants, but I sense that most of the food at MP Taverna can be made by a well-trained kitchen staff to come out with consistency. Right now, this is some of the most exciting Greek food in the region, and I think Psilakis is well on his way to have such food enter the mainstream. MP Taverna is open for lunch Mon.-Fri., Brunch Sat. & Sun., and dinner nightly. Dinner appetizers run $8.50-$13, entrees $15-$23. It isn’t every day that even wine writers get to taste Madeiras from 1910 and 1912 over lunch, but those two old-timers were part of an array that also included examples from 1920 on up to a pubescent 1996. Even more surprising was my finding that the 1910 Barbeita Sercial ($350) was the best of a dozen Madeiras sampled at a Wine Media Guild tasting last month [MAY]. For a wine more than a century old, this was voluptuous but not fatty, fully balanced between fruit and acid, with a deep richness that gave way to a light finish. Indeed, it is the acids in Madeira, which increase with age, that keep centenarians like this tasting so fresh, along with the added fortifying alcohol that, like Port, allows for such longevity. 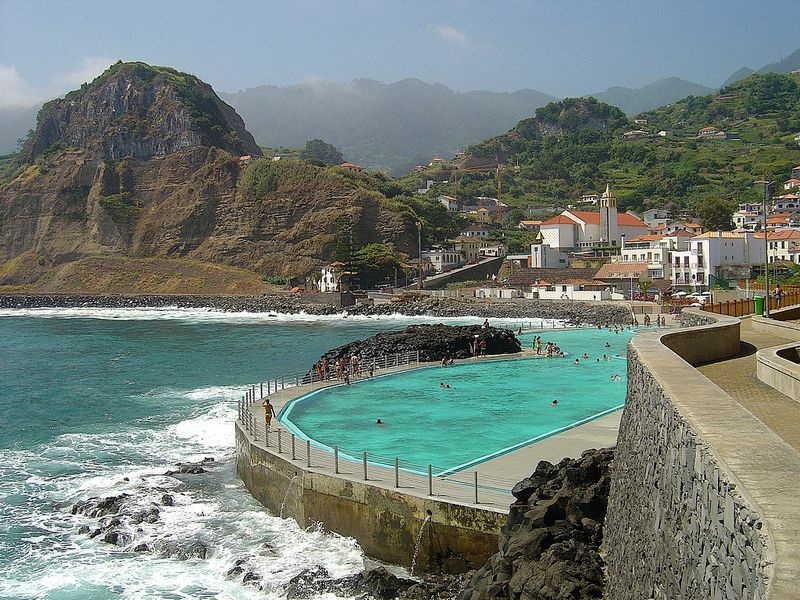 Madeira is made on the volcanic Portuguese island of the same name, where it began as an unfortified white wine. But shippers found that the addition of alcohol helped stabilize the wine on long trade voyages, particularly to America where it was by far the most popular wine of the 18th century when the colonies imported a quarter of all the Madeira produced. Over the next two centuries Madeira had its ups and downs, from crises caused by powdery mildew and phylloxera infestation to supply. Once there were about 200 producers on the island, but today only about seven are left. The biggest markets—for cooking Madeiras and lesser varieties—are France, Germany, and the Benelux countries. For better Madeiras, the U.S. Japan and the U.K. import most. 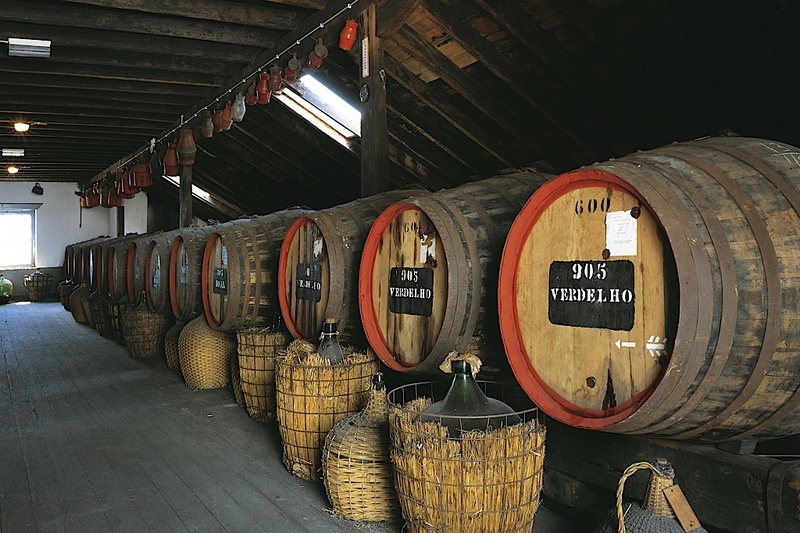 Madeira can be made from a variety of grapes, including Tinta Negra Mole, Sercial, Verdelho, Bual, and Malvasia, usually listed on the labels of better bottlings. Three-year and five-year Madeiras are blends whose youngest wine is the number indicated. Those are mostly supermarket wines, but ten-year and 15 Madeiras offer considerably more quality at very decent prices. 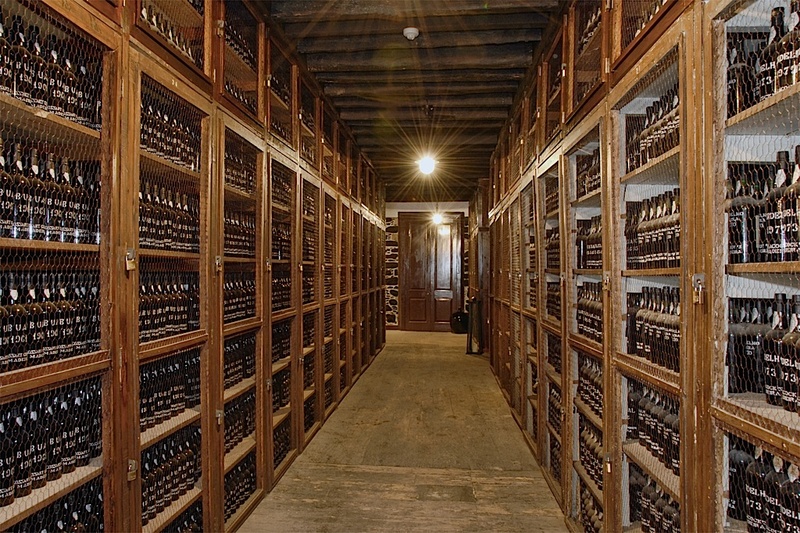 A vintage Madeira, called a frasqueria, is basically drawn from a cask from a single year and must spend a minimum of 20 years in oak barrels for aging. The Madeiras at the tasting, most imported by the Rare Wine Company, showed a remarkable range. One very light, pretty example was the 1988 Barbeito Sercial ($47), while the 1978 vintage of the same wine was pale in color but spicy, with a perfect balance of acid to make it delicious before dinner as well as afterward. The 1985 D’Oliveira Verdelho ($95) was slightly vegetal, somewhat grassy, while a younger vintage, 1994 ($80), had a tremendous bouquet, bright acids, and levels of flowery, spicy flavors that finished long on the palate. The older 1973 was magnificent—with a burnt sugar nose that changed to a restrained elegance and mild sweetness that would make it such a fine wine with a creamy Portuguese blue cheese like Serpa or Serra da Estrella. The 1912, still sound as a bell, was bracing, coppery, as if it were just minted yesterday. 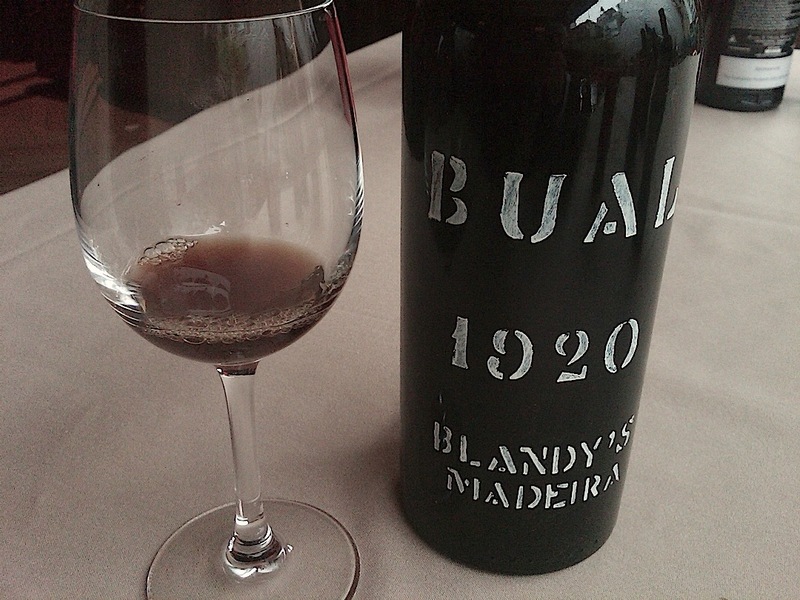 Turning to a series of Bual-based Madeiras, produced in warmer terroirs on the island, I found all of them showing some oxidation, tasting not unlike Spanish sherries, which was pleasant enough in the 1966 Blandy (price n/a). The 1977 ($135-$170) was one-dimensional, not particularly sweet (though Boals generally achieve higher sugar levels than Sercials and Verdelhos). But two other examples, 1968 ($150-$200) and 1920 ($700-$800), were distastefully oxidized, musky tasting, and murky. Indeed, the 1920 (left) was brown and smelled so badly I couldn’t bring myself to taste it. Aside from its formidable aging potential and its variety, the truly remarkable thing is how relatively inexpensive it is. When you think you can easily spend $300-$1000 on a bottle of Champagne or Burgundy for a single night’s pleasure, Madeiras are meant to be sipped over many evenings in small doses. They don’t keep forever once opened, but they will be just as rewarding for weeks, long after the Champagne and Burgundy bottles have been recycled into mere glass. In response to my article last week, "When Did Tipping Become a Stick-up?" an astute and worldly reader, Michael Taylor, wrote to amplify what I said about not needing to tip on hotel and restaurant bills in France beyond a few euros for the bellhop or exceptional service. In France and French territories, the legal requirement on menus and bills, though formerly "service compris," has for some years been the mention, "Prix net." This indicates that all charges are included in the price and no further tip is required. The notion of a "service charge" became obsolete because of the requirement to pay at least the legal minimum wage to all employees. 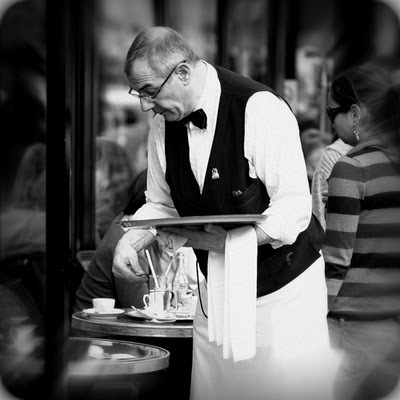 For many years "service," consequently considered by most employers as simply a part of revenue because all employees were salaried staff (leading to payroll costs often as high as 40% to 65% of F&B revenues), was simply never paid out to service employees. 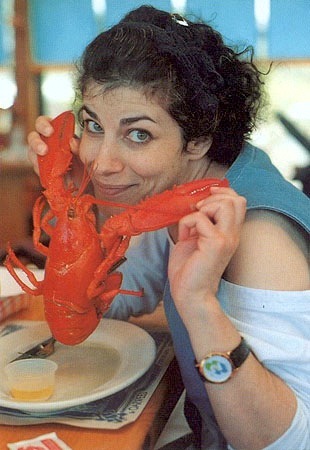 Some very rare establishments still pay "intéressement" or a percentage of revenue, gross or net, though less often to non-executive employees, but it generally has little to do only with menu prices and percentage of restaurant or bar checks and is often based on the company's or group's net results. So, if guests or banquet & event organizers want to "tip" for exceptional service, they may. However, no official receipt can be provided by the establishment for that. Tips on credit cards can usually, though not always, be made, and are generally returned to staff (who vigilantly track them) often with hefty social security and other payroll taxes deducted. Gratuities are appreciated, though not a requirement, and at guests' discretion. ALSO: A Bob Dylan fan points out I misquoted him. He did not say "Money doesn't talk, it screams. "; he said "Money doesn't talk, it swears." Researchers at University of Buffalo released a study that showed morbidly obese people are 56 percent more likely to die in car accidents than people of normal weight because those who are overweight are less likely to buckle up because the seat belts aren’t big enough to span some their girth. AND DON'T FORGET ABOUT THE PRIAPIC POP OF THE PEA PODS! “I suppose we could judge chefs by the notches on their belts, but I prefer the fragrance of the leather. 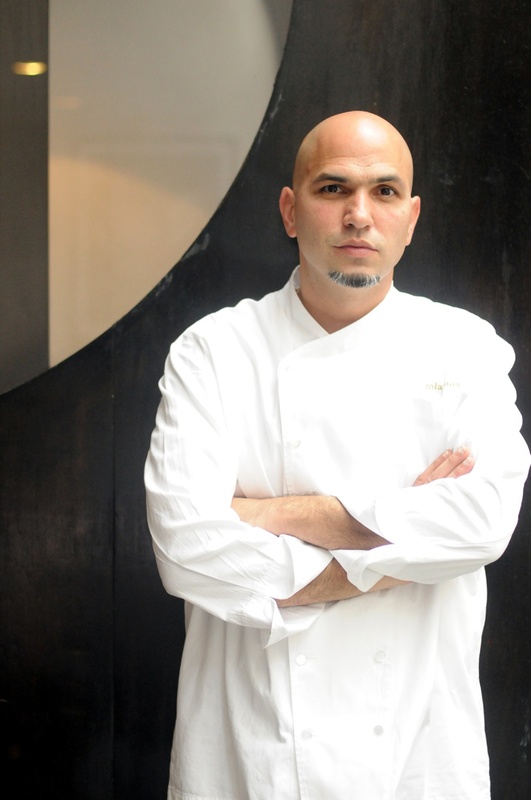 I like the buttery clutch Michael Symon has with meats, the swashbuckling Johnny Depp daring of Jonathon Sawyer, the expert massage of Americana from Karen Small and Doug Katz. The list goes on. Bruell is the most painterly among them, always adding a splash of intrigue. Who has tasted his signature cassoulet at L'Albatros and doesn't remember the bling of fennel gastrique that makes all the rustic flavors shimmer? So it was strange to poke the outside of my Crispy Giant Pork Shank and get flab, not crackle. Sigh, chicharrone dreams deferred.”—Debbie Snook, "Cowell & Hubbard," Cleveland Plain Dealer.